Therapies, training, events and retreats. I blend professional coaching and counselling with a range of specialised therapeutic services, to deliver the perfect ingredients for personal, professional and spiritual transformation. My mission is to inspire; to illuminate, motivate and empower; to instill in my clients the firm belief that change is not only possible, but achievable. I offer holistic, emotional, spiritual and practical support to people approaching end of life, and also support their families. Deep empathic listening, coaching and counselling, or the soothing benefits of gentle touch massage and palliative reflexology, as well as mindfulness, guided meditation, Reiki and sound healing, can all provide great comfort and relief from anxiety, depression and even pain. I offer a range of workshops, training courses and CPD events throughout the year to individuals, therapists and organisations. My “Living with Purpose” courses teach life-long empowerment skills; delivering tools, techniques and the right nurturing environment to facilitate transformation on all levels. 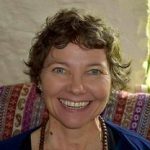 I facilitate a range of soul-nourishing retreats and host regular events throughout the year, with a variety of speakers and teachers. Retreats are held both in the UK and abroad, incorporating Sound Healing, Mindfulness Meditation, Reiki, Life coaching, Personal Development and/or Yoga. As an event organiser I predominantly host speakers who are based in the South-West of England who are looking for a platform to teach their Personal Development workshops. Further details on how to apply to be a speaker at Suzi Garrod Events will be uploaded soon.